Xed Intellect provides training solutions in the field of Management Domain subjects, Aptitude testing and Business Current Affairs. We are also working on developing an innovative communication skills training program designed for varied levels of needs. 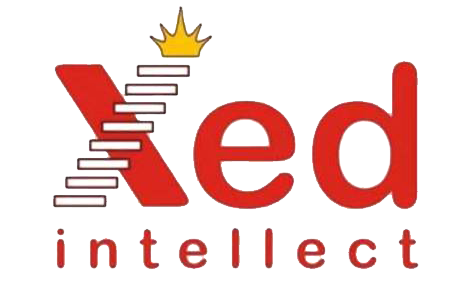 Xed Intellect began its journey as primarily a training and assessment organization designed to impart functional skills to management students. From imparting early training in domain subjects we progressed to designing an online quizzing system via which we could conduct domain and aptitude quizzes at various b-schools. The next stage was to design a training program that helped students acquire real world knowledge about businesses, their various functions and economic factors. The result was our path breaking current affairs program which is currently our flagship product. Employability can be enhanced by two means – relevant & effective training and better job opportunities. Our training modules are designed to supplement the Institute’s curriculum by working on key areas of employability i.e. communication skills, aptitude, domain and current affairs knowledge. Institutes very often are restricted by lack of resources, innovative training methodologies and University curriculum to enhance employability skills as expected by the recruiters. Xed partners with Institutes to help them enhance employability of their students. Knowledge of business as well as general current affairs is an absolutely essential requirement for any future manager. It also provides that killer edge during group discussions as well as Interviews. To this end our Current Affairs program helps students gain this edge via newsletters, apps/sms and regular quizzes. The result is a tool that helps students stay up-to-date, relevant and keen about the real world of business. Excellent knowledge of domain subjects is one of the key prerequisites to getting a desired job as well as profile. Vital Domain study material on Marketing, Finance, HR, Operations, IT and Telecom is provided to candidates for quick and easy reference. Also continuous assessment with immediate feedback on important concepts helps students and faculties in understanding the weak & strong areas of students and take immediate corrective action. Aptitude testing is one of the most commonly used tools by companies when short listing candidates during placements. Our aptitude training program is designed to help students prepare for the same and better their chances. The program has 9 Training Modules and Quizzes. Xed intellect is developing an unique communication training program to suit the needs of management graduates who often find themselves at a disadvantage due to lack of effective English language communication skills. The program will combine online learning with an immersive real world application program that encourages students to communicate in English and develop their English language skills which can often be a make or break during placement interviews.